Well, I didn't do a lot of crafty things over the weekend. Barbecue and beer with good friends won out over my sewing machine. But I have no regrets! 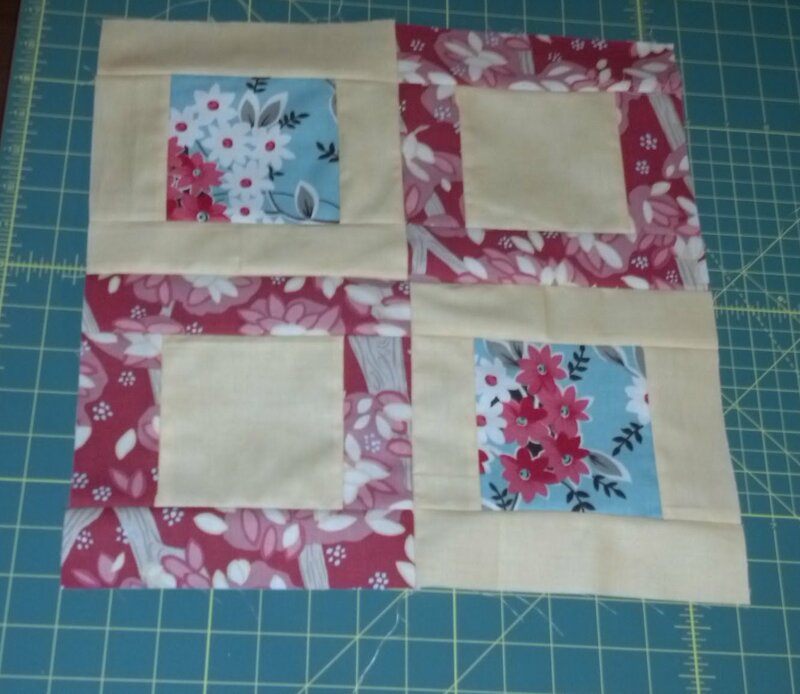 I did get this little pillow top finished. It was quick to sew up and I like the way it turned out. I had some tension problems with my machine for a while before I was actually able to sew it, though. Apparently (according to the internets) the Brother XL-3750 often has tension problems and it has something to do with the bobbin case. So I opened it up and treated it like I would an old Nintendo- I jiggled it around and blew on it til it worked. And you know what? It did. Maybe I should start calling my machine NES. Speaking of Nintendo, I also made this little guy for a friend's birthday. He just needs a mouth, but I couldn't decide what to do for the mouth. I have no embroidery skills (though I would like to learn) so I'm just sewing little felt face pieces on. Maybe I'll just do a little dot for the mouth. Kirby at rest. 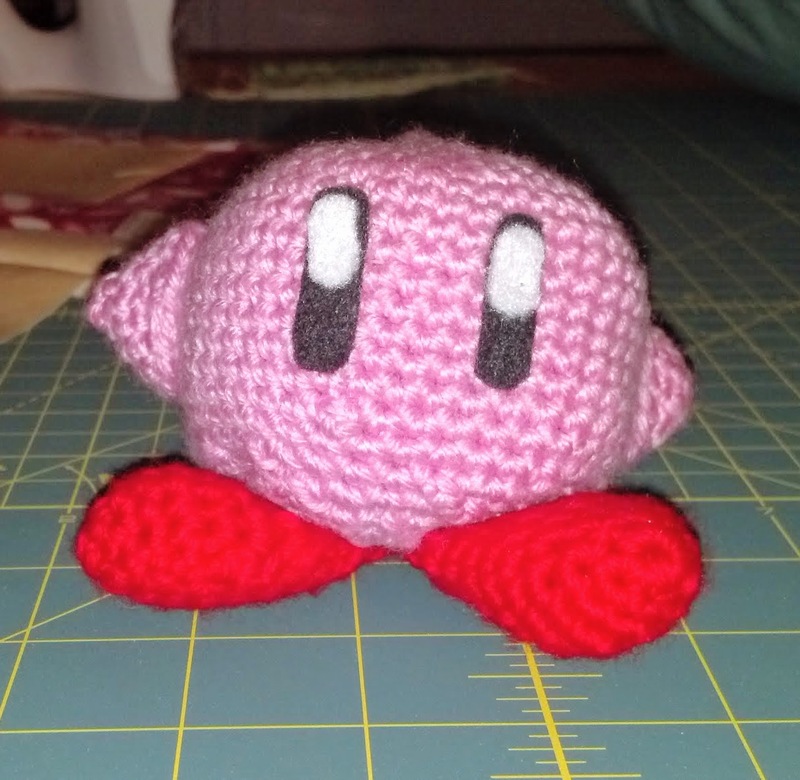 I made Kirby using this pattern. Well, that's all for today. See you around!